What is guitar scale length and why does it matter? 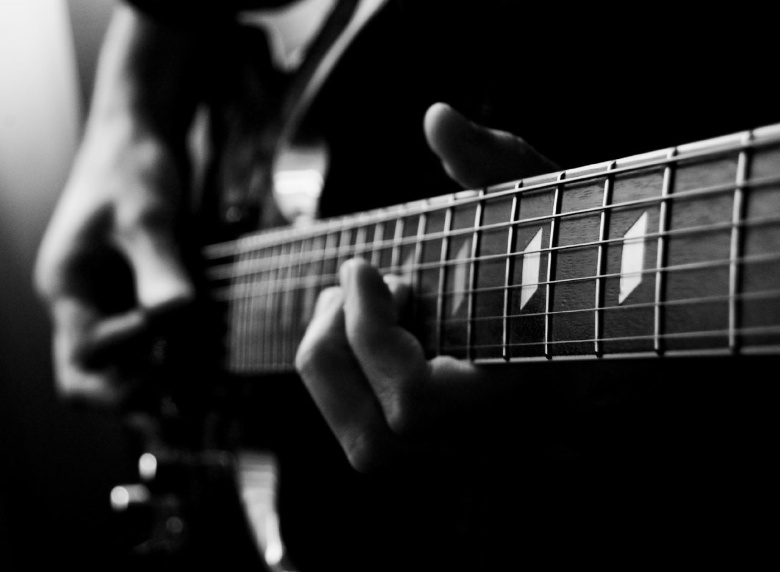 Guitar scale length plays a very important role in how the instrument sounds. Here's why. If, like most guitar fanatics, you've spent countless hours poring over specs for guitars, you'll have spotted, among the details of wood types and pickup info, a number which appears to mean very little. That number, usually somewhere between 24 and 26, in inches, is the guitar scale length and it plays a key role in the way a guitar sounds. Put simply, shorter neck guitars have less tension in the strings, so the strings can be bent more easily and the guitar is easier to play. The also have a warmer, muddier tone. Gibson's Les Paul, which has a scale length of 24 3/4 inches is a good example. Longer scale guitars, such as Fender's Strats and Telecasters, which have a scale length of 25 1/2 inches, have greater string tension, are little more difficult to play, but have a much brighter, clearer tone. When Paul Reed Smith set out to capture the harmonic richness of Fender's guitars and combine it with the warmth and easy playability of those made by Gibson, he, unsurprisingly, opted for a scale length between those two figures, 25 inches. Yes, but what is guitar scale length? Now you know why the scale length matters, the most obvious question is: what is it? According to StewMac, the scale length is 'calculated by measuring the distance from the front edge of the nut, where it butts against the end of the fingerboard, to the center of the 12th (octave) fret, then doubling that measurement.' In other words, its twice the length of the fingerboard from the nut to the middle of the 12th fret. Guitar scale length is used by luthiers to work out where to place the saddle. On a guitar with a 25in scale, for example, the saddle would be placed a little more than 25in from the nut. That little bit extra is known as compensation and improves intonation. The compensation varies according to the string however, less for the high strings and more for the lower strings, which is why saddles are placed at an angle, rather than parallel to the nut. The scale length is also important in calculating where to position the frets. A guitar with a scale length of 25 1/2 inches and 22 frets, will have very different-sized frets to a 24 3/4 inch guitar with 24 frets, for example. If you're building a guitar and want an easy way to calculate the distances between the frets, or are bored and like to play around with these things, check out StewMac's Fret position calculator.